2017 Changes to the Form I-9: What do employers need to know? Someone mentioned to me that we were using an old version of the Form I-9. What’s the latest version and where can I find it? On July 17, 2017, the US Citizenship and Immigration Services (USCIS) released a new version of the Form I-9. The new version has a few changes to the instructions and the list of acceptable documents. Plus, it should streamline the certification process for some foreign nationals. Employers completing the Form I-9 online will be able to select Form FS-240 (Consular Report of Birth Abroad). For more details on the changes, visit “What’s New” I-9 Central. Employers can begin using the new I-9 (Rev. 07/17/2017 N) immediately​, but most ​are required to make the ​switch to the new form beginning September 18. Must be completed within 3 days of an employee’s start date. However, many organizations do to prevent any confusion or errors. The completed I-9 must be retained until one year after termination or three years after hire, whichever is longer. It is not required, but recommended, to retain all completed I-9s in a binder/folder. Some organizations will even keep terminated employee’s I-9 forms in a separate folder to aid in shredding once past the mandatory retention requirements. We understand, there are just too many new Labor Laws to keep up with. Not only are there laws that govern hiring practices, safety concerns and recordkeeping requirements, then there are the compensation and benefit laws. 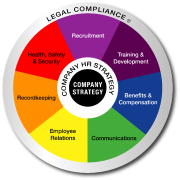 Let strategic HR inc. help you navigate the employment law minefield. 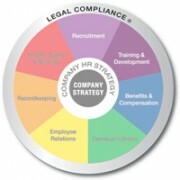 Ask us for assistance with any of your Legal Compliance needs. Please visit our Compliance page for more information or call us if you have a specific question or need. When Is a Company Required to Investigate a Harassment Allegation? What Does In Loco Parentis Mean In Regards to a FMLA Claim? Mandatory Retirement: Is It Legal? In my recruitment strategies, can I really text a candidate? What are the Advantages of Financial Wellness Programs? Are Social Media Background Checks Legal?